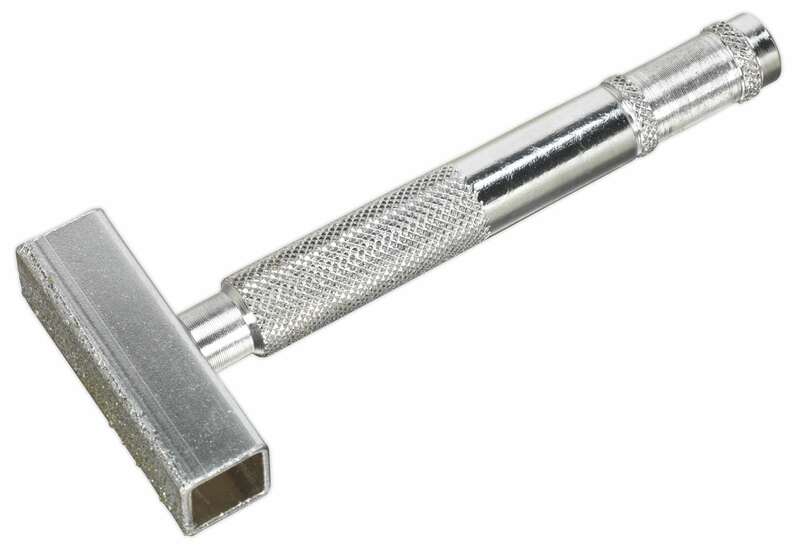 • Strong knurled handle for safe grip and accurate positioning. • Diamond faced dressing edge for increased efficiency and extended wear lifetime. • Suitable for cleaning, truing and sharpening grinding faces. • Suitable for use with any bench grinder. • Grinding Face (L x W): 45.5 x 13mm.